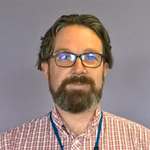 John Trevains was recently appointed to the role of Head of Learning Disability and Mental Health at NHS England. He explains why Annual Health Checks for people with a learning disability can play such an important role in ensuring they get the right care from the NHS at the right time. I’m regularly struck by the privileged position we have to implement real change and improve people’s lives for the better. One such area which my team works on is seeking to improve the numbers of people with a Learning Disability receiving an Annual Health Check, where the latest set of data was published today. Sadly, people with a learning disability can have poorer physical and mental health than other people and studies have shown that they can die on average 20 years younger than the rest of the population The Confidential Inquiry into premature deaths of people with learning disabilities (CIPOLD 2013) reported that people with a learning disability are three times more likely to die from causes of death that could have been avoided with good quality healthcare. Many of these deaths are avoidable and not inevitable. Clinical evidence shows that Annual Health Checks can identify undetected health conditions early, ensure the appropriateness of ongoing treatments and promote health, for example through screening and immunisation. NHS England, with the support of key partners, are prioritising efforts to increase the number of children, young people and adults whose learning disability is known to their GP through having their status recorded on the Quality and Outcomes Framework (QOF) register so that they can receive a health check and other reasonably adjusted and proactive care. I’m pleased to say that we are we are making good progress, and data published today shows that over 130,000 health checks were delivered in 2016/17 by GP’s. But we can’t rest and there’s more work to do in order to increase this number further. GPs and practice nurses have the much-needed generalist skills to help people with a learning disability get timely access to an increasingly complex health and social care system. The enhanced scheme for providing the Annual Health Checks for 2017/18 included uplift in payments and the introduction of a National Health Check Template. To help with this there are some great resources available. Mencap and NHS England have worked together to produce two videos and a series of guides called Don’t Miss Out to encourage people with a learning disability to check that their disability status is captured on their GP record. A number of resources are available which we would ask practices to display in waiting rooms. You can find out more and read the guide, or watch the video. John Trevains is a Mental Health Nurse who joined the NHS England Learning Disability Programme in July. Prior to this he has held a range of posts across health and social care settings over a 22 year long career.